The title of this post is a double entendre of sorts. 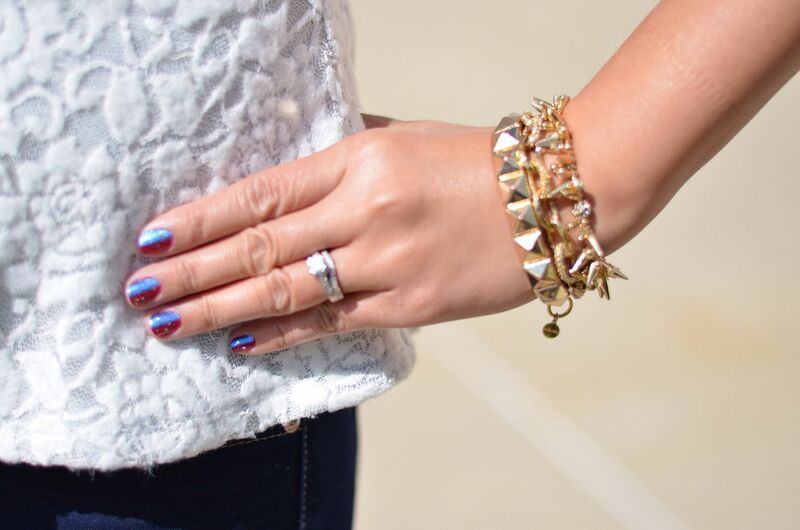 This was a random outfit I had thrown together one morning-- it wasn't premeditated or pre-photographed for the blog. But I loved it so much that I made the husband properly photograph it when we got home from work at the end of the day since the gym selfie didn't do it justice! You'll also see from my nail art below that this fell around the 4th of July week, so it's definitely a little late. I normally like to post pretty real time, but since we were traveling this past weekend, I didn't get to do my normal weekend photoshoot. So, here you go, a few weeks late! This top is one of my all time faves. It's actually a knit, so it's very easy and comfortable to just throw on. It's also perfect to travel with, which is why this baby has left the country with me twice! Since I've paired it with pastels in the past, I loved the idea of pairing it with patriotic primary colors. The silhouette of this outfit makes me feel good, and I'm not kidding when I say this outfit is as easy as jeans and a tee shirt. I'm pretty sure when I ordered this top, it was one of those times when I wasn't even looking for anything in particular, I was just randomly shopping, came across this, and added it to my cart. I love buys like these that end up being wardrobe staples! I see why you love it- the outfit is so cute + classic! :) Happy Thursday, babe! 1) thank you! I may or may not have 3 of these exact pair bc I love them so much. Wished I would have gotten more of the distressed ones too. 3) I like seeing the past outfits too. It's awesome when I can wear pieces over and over and over. Price per wear goes down! 4) I mean. You know I will tell you that you need them. 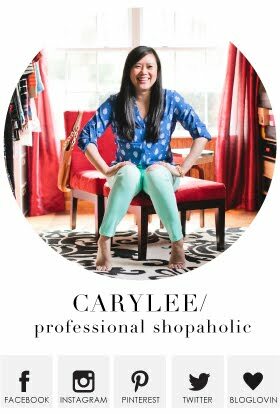 Carylee you look great. Your favorite top pairs really well with all those printed bottoms. Love it with the navy pants though. Those pants fit you like a glove. I adore the heels & bag. Altogether, a little bit of a Nautical look which I love. Thanks, Ada! I have three pairs of these jeans because the fit was so great! They always make my foolproof outfit! 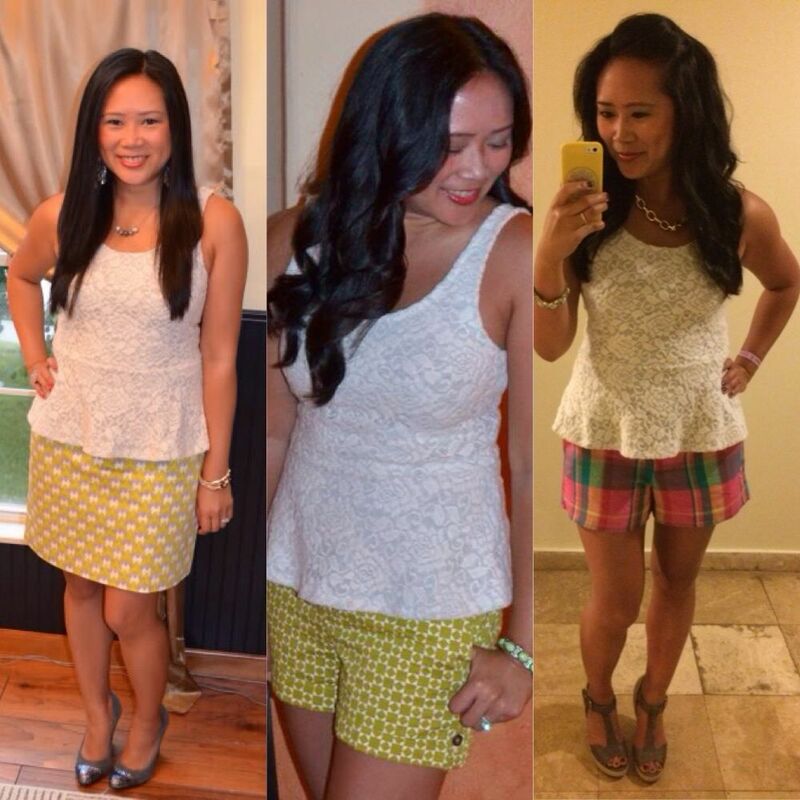 I love seeing the peplum top with different styling options! My favorite is with the denim and red heels! Definitely my favorite as well! I love the bold primary colors! And I'm a sucker for nautical! That top is amazing and SO flattering on you! 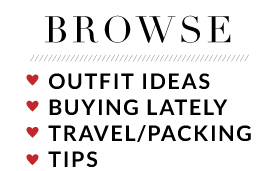 I haven't had much luck with a peplum but I so want to try one now after seeing this on you! Peplums are tricky devils! I am glad I took a chance on this one! It's such a fabulous bag - I would love it in black also! Cute top. Love the lace. Love you outfit! 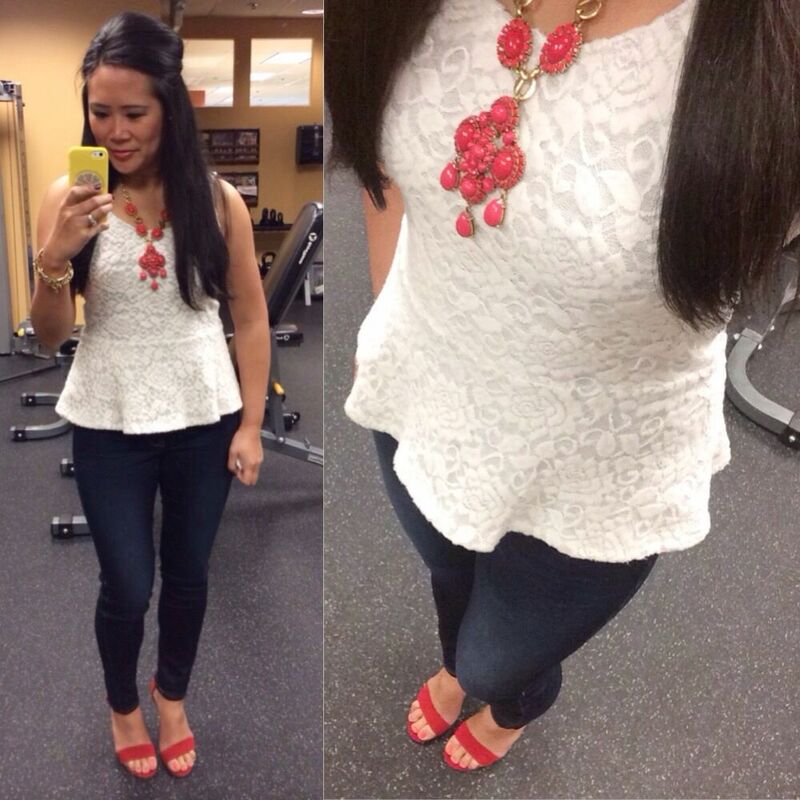 Your top makes me feel like I need more peplum in my life! Yes! It can be hard to find, but the right peplum is very flattering! I can see why you love this top! It is so pretty and looks great on you! I'm also loving that KS bag. The bag makes me so happy! 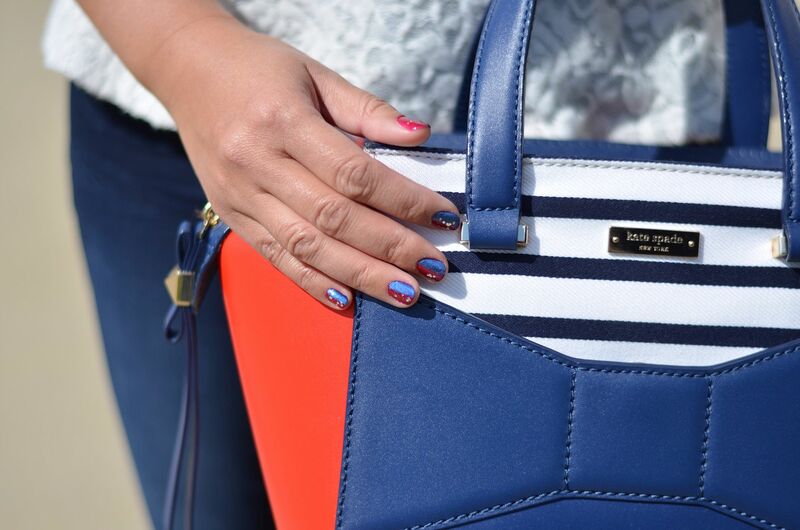 that purse is so FAB and I love how it matches your nails!! My first time doing nail art! I surprised myself! Love this, I love knit tops that look dressy. I am so into red heels and yours are killer. It was a long journey to find these red babies! They rock my world though and were worth the wait! That purse and that necklace!!!! LOVE, LOVE and LOVE! You are killing it with those amazing accessories. That top is adorable on you. 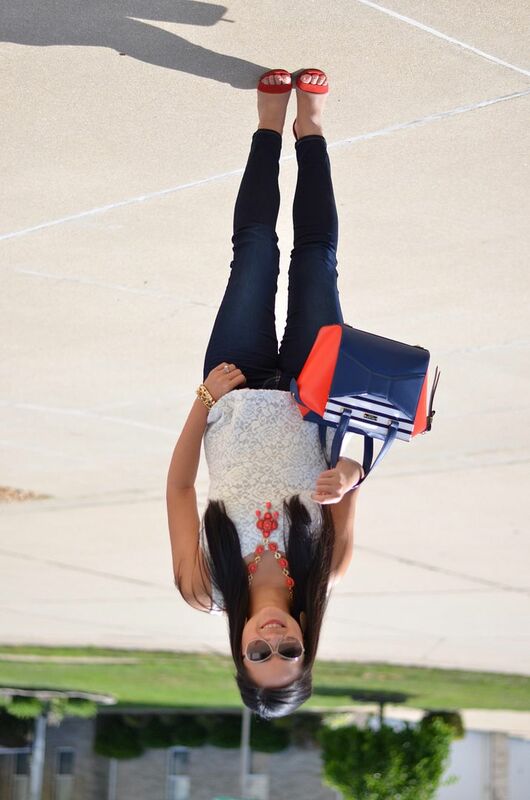 That Kate Spade bag is just so FAB! Loving your blog, Hon! Such a great look for being thrown together! That peplum top is so pretty and seems so versatile from how you styled it with your other great outfits! It really was as easy as a tee and jeans! Fitted but not at all constricting or tight. I just adore lace! This look is fabulous, that bag is also amazing. :) Such a great overall look. Thanks! And I will check it out! Cute! I love it! 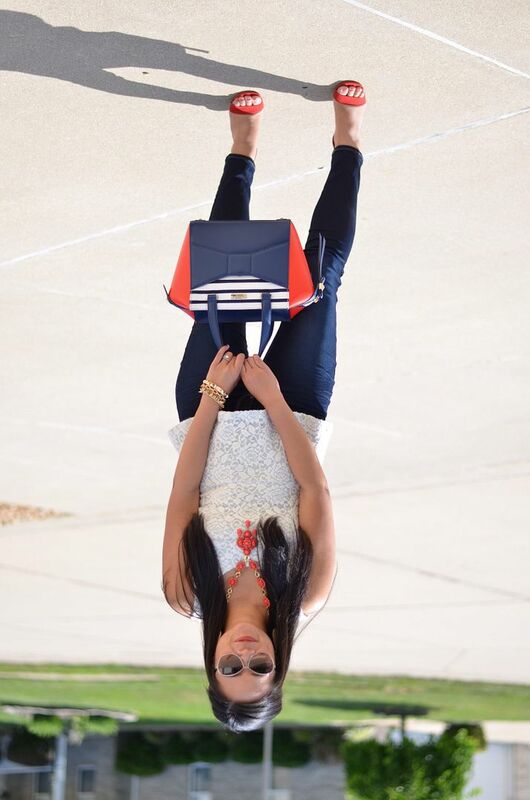 Those jeans look amazing on you and I'm still obsessed with that kate spade bag! Thanks, lady! The bag. I know. It had me at hello. Seriously!